Jlake News--New brewery & family restaurant coming!! be sure to give them your support & business. or more. Please allow the needed time when traveling this route; especially on weekends and when going to and from work. Central (CNPPID) Click to Read Congrats Dave!! CStore will close for the season starting September 4th. on May 19, 2018, at 4:00pm at 125 Lakeview Acres at Johnson Lake. Memorials are suggested to the Johnson Lake EMS. Reynolds-Love Funeral Home in Lexington is assisting the family with arrangements. Click at link on left for larger image and more info! The Artistic Cabinetry location at Johnson Lake is open for business! Cindy Fahrenbruch is hosted an open house on Friday July 21st from 5 to 8 PM. The new business is located in the old Subway building near the entrance to the main Game and Park Campground. The Johnson Lake Chamber of Commerce welcomed Artistic Cabinetry with a ribbon cutting just before the open house began... Thanks to all for the super turn out and thanks to Cindy for all of the great treats!! JOHN WIGHTMAN, 78, 1938-2017 LEXINGTON – Long time public servant John Wightman of Lexington died on Thursday at the age of 78 after being transported to a local hospital. Wightman got involved in politics 1974 when he began his first term as a city councilman in Lexington. He served one term before going back to the same office in 1984 until 2000. During that time he served as Lexington’s mayor from 1992-1995. TRAVIS STITHEM--Click here to read about the SID's new Operator: Welcome Travis!! Portside Express (Ampride "C" store), LakeShore Marina, and the SID Bldg. Please check the Navigation Links or Recent site activity links on the left for the latest posting in your area of interest. OR, Click View All at the very bottom on the left to view a listing of either the most recent posts or all posts to the site. 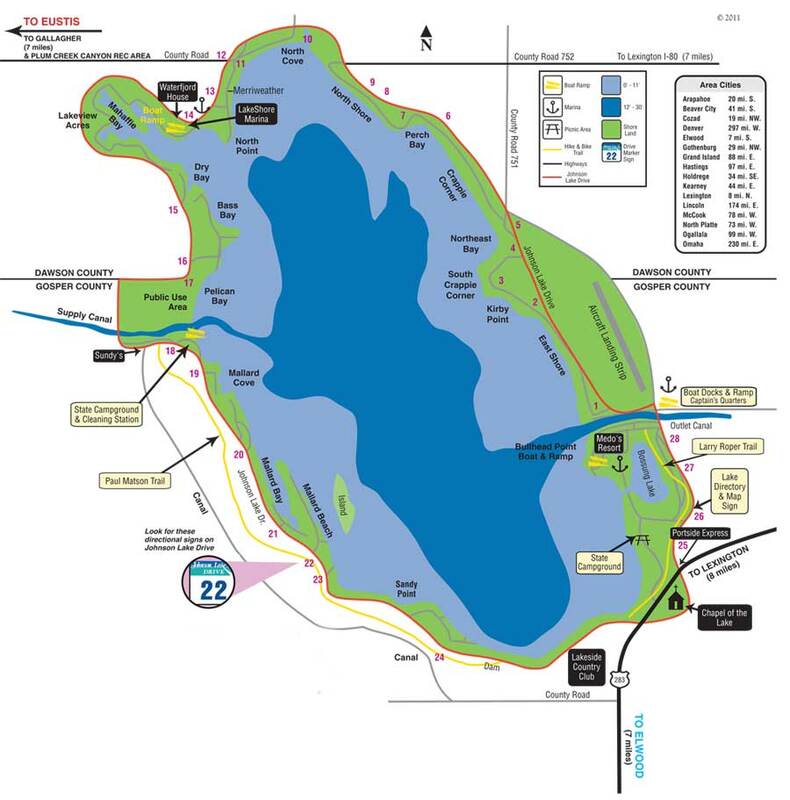 Again, we ask that you keep the post to items of interest to the Johnson Lake community and "no adult only" content please, as this site is open for viewing by all. We can not be responsible for the content posted; although we do request your cooperation, which is most appreciated. entrance to each of the area neighborhood drives for the location of the people that you want to visit! Thanks to JLDI and the Girl Scouts Gold Project for creating the large Map display at Drive 26 and the Chamber for posting the map on their site; just click the link above to view it! THANKS TO EVERYONE THAT GOT OUT AND VOTED; BE SURE TO VOTE IN NOVEMBER!